New Semi-D Factory In Northport Industrial Park. 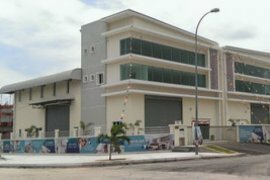 New Semi-D Factory For Sale In North Port, Port Klang. Property Description 1.5 Storey Factory at Jalan Angger. Property Description IJOK Terrace Factory to Sales BRAN. Property Description Brand New Modern factory to LET @. 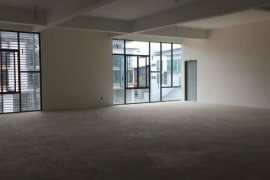 Factory For rent/Sale In Hcom Glenmarie, Shah Alam. NEW SHOP LOT TAMAN DENAI PUCHONG FOR RENT. Property Description -Subject unit is a Corner Unit - B. Property Description Detached factory for RENT. 2-Sty o. Property Description *Detached Factory / Warehouse For. Property Description **TMN PERINDUSTRIAN USJ1 SUBANG JA. Property Description Single Storey Factory For Sale Sha. Property Description Kindly contact our team for more i. Property Description ***************** Linked Factory /. Property Description 1.5 sty Factory For Sale Klang ===. Property Description Single Storey Factory For Sale Puc. Property Description *****************Taman Klang Jaya. Property Description Single Storey Terrace Factory, loc. Hello, Please contact me, I am interested in warehouse and factory for Sale in Malaysia. Best Regards.